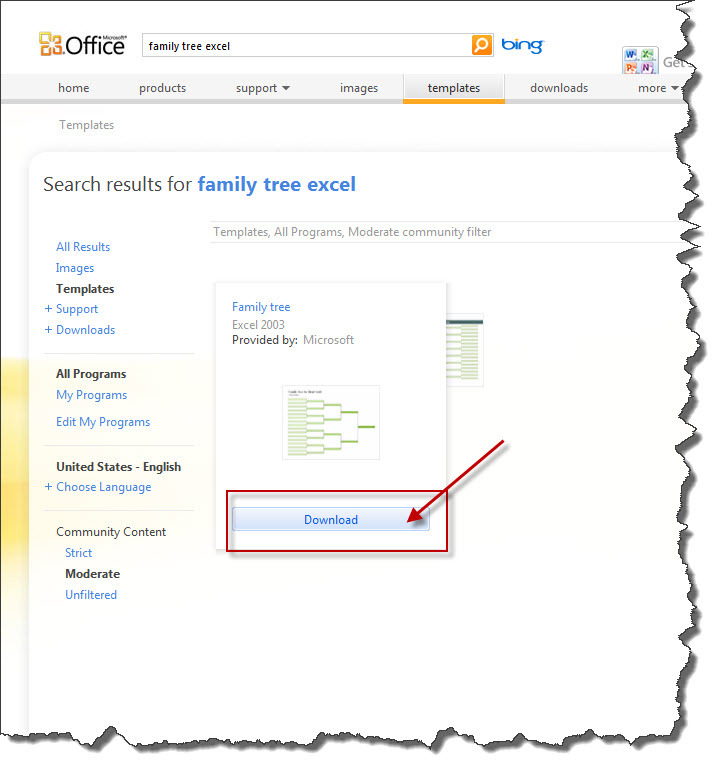 Here is the link to the Excel-based Family Tree diagram template that is housed on Microsoft’s template gallery on their site. They have both an Office 2003 and an Office 2007 version. 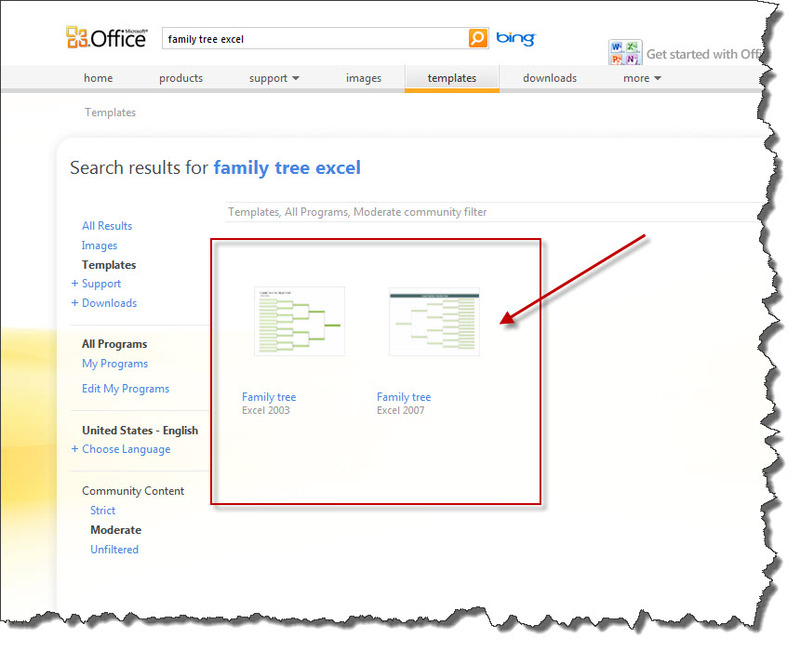 You can go to this site and download the templates for FREE. Hover your mouse’s cursor over the version you wish to download and then click the download button.